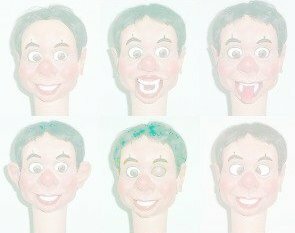 Why Should You Be A Sponsor On Ventriloquist Central.com? If you target anyone interested in the Art of Ventriloquism and you want to enhance your website or brand awareness, sponsorship is right for you. And this is just the tip of the iceberg. We get emails daily asking about these questions and many more. The first three order links for packages 1, 2 and 3 create a monthly subscription in Paypal to ensure you lock in your campaign. If you wish to cancel a campaign at any time you may contact us or cancel your subscription manually at PayPal.com. What you get: 1 text link in the shared rotation at the top of each category page, including the blog page (highest ranking page) and all pages on VentriloquistMarketplace.com. You provide the anchor text and link URL and may change your link any time. What you get: Your 125*125 box banner rotated under the top "Menu" section of each category page, including under the "Sponsor" section of the blog page (highest ranking page) and on the main page of the VentriloquistMarketplace.com. You will need to supply your own 125*125 pixel banner. JPEG or GIF are accepted, no animation is permitted and please keep file size low. You may change your banner at any time. Instructions for submitting your banner are below. What you get: Your banner rotated in the 468*60, at the bottom of each category page above the bottom menu and under the text link ad on the blog page (highest ranking page) and on the main page of the VentriloquistMarketplace.com. You will need to supply your own 468*60 standard banner. No animation is permitted and please keep file size low. You may change banners at any time. Instructions for submitting your banners are below. Benefits: Your campaign is placed on all category pages, in all banner positions and text link positions. Every visitor to VentriloquistCentral.com will be exposed to your campaign multiple times in different advertisement formats. You will need to supply your own banners. No animation is permitted and please keep file size low. You may change banners at any time. Instructions for submitting your banners are below.